Looking good so far! The paintjob Korsakov's face is superb. Great work! 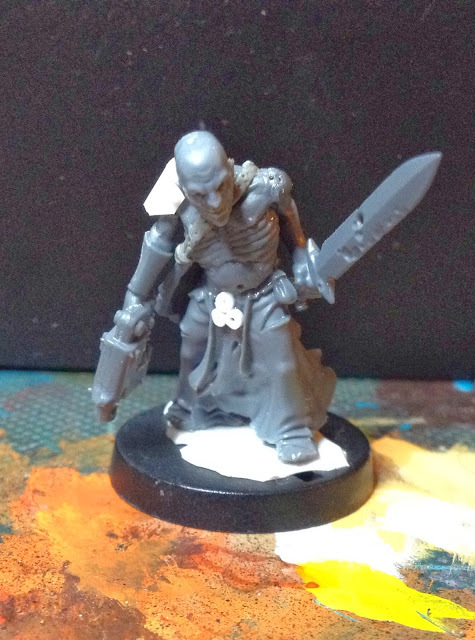 Are the nurgle cultist based on empire flagellants and zombies? That is correct, sir - same basic bits as the first one. Great, thanks! Consider this idea stolen. Love the face on the marine! Huzzaah! Looking very good so far, in both cases. The starving torso of the Zombie kit is an ace! Hehe... Yeah - it´s one of your favourite bits isn´t it? Just like that flaggelant head. I took some inspiration from your minis and sculpted a smiling mouth on him. Nice work. 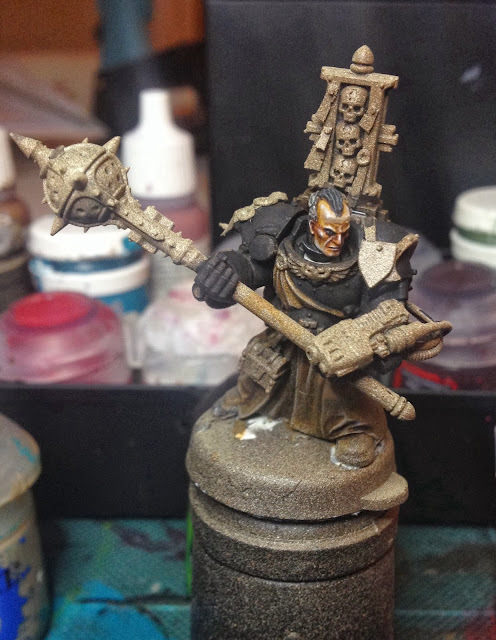 I particularly like the face on the cultist, I think he will turn out quite well. Although it would be nice to see some cultists with long guns... maybe for #3?